Double Gold - San Francisco World Spirits Competition 2018. Bottled onsite with Islay spring water. Non chill filtered. Colouring free. 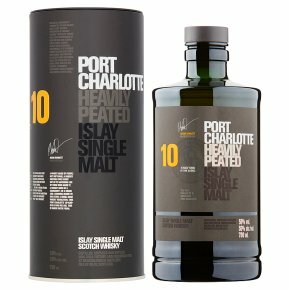 This Port Charlotte 10 year old has been conceived, distilled, matured and bottled on Islay alone. A whisky made by people not software; a whisky watched over every day of its maturing life by those who made it; a whisky born of a community with a vision and a mission to kick start a single malt whisky revolution.